Patio Tables are available on a first come, first served basis. We require a minimum of one bottle purchase, per table, per hour. Please limit your party to two tables and three hours. Groups of ten or more, reservation required. 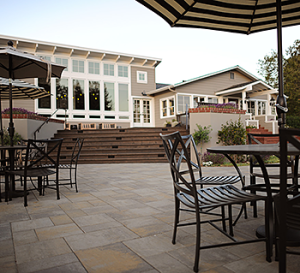 Patio tables are complimentary with wine tasting for one hour. After complimentary hour, one bottle purchase, per table, per hour. Guaranteed table reservations are available at $25 per hour. Celebrating a special occasion? We have space to accommodate large groups. Groups up to 40 people: Lawn set up $100 per hour. Dining Room+Deck, $100 per hour. Larger than 40 people, please contact us for rates and options. To inquire, please fill out the form below or email events@wrightsstation.com. Wrights Station produces & serves alcohol; persons under 21 must be with an adult at all times. We’d love to hear from and include you on our mailing list. Give us some information and get onboard!